Pucci led all Crimson defenders with 12 goals and 13 assists in her sophomore season, earning a spot on the All-Ivy first team. Former Harvard pitcher Brent Suter '12 was selected by the Milwaukee Brewers in the 2012 draft. Brent Suter '12 carried on his baseball career as a member of the Brewers farm league system. Senior Jake McGuiggan, pictured here in Apr. 2012 action, had five hits in seven at-bats in Sunday's doubleheader against Columbia. Senior Kalley Armstrong, shown in previous action, put the Harvard women's hockey team ahead with her goal in the third frame, but the team would fall 4-2 to Dartmouth. Junior Siyani Chambers looks to end his turnover woes against non-conference foe Boston College this Wednesday. Senior center Kenyatta Smith, shown here in previous action, tallied 11 points and seven rebounds against Dartmouth on Saturday. Junior co-captain Siyani Chambers had 10 points and seven assists Monday as the Harvard Crimson won its sixth straight home game to open the 2014 season. Co-captain utilityman Carlton Bailey, who leads the Crimson with a .317 batting average, added to his mark on Monday against UMass in the championship round of the Beanpot. Bailey went 2-for-3 to help Harvard celebrate Patriots Day with its third all-time Beanpot win, and first since 2005. The Harvard softball team is riding an 18-game winning streak into the final stretch of its season. With wins this weekend against Dartmouth, the squad could clinch the Division Title. Junior Laura Ricciardone pitched six innings against Cal State Bakersfield to earn the win and improve to 5-5 on the season. 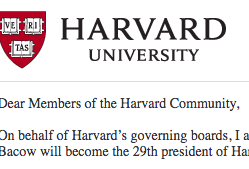 Harvard's Amanda Sohby, who is ranked No. 1 nationally, remained unbeaten on Sunday and lost only 14 points as the Crimson remained undefeated.